The Myanmar government has decided to start importing timber, in spite of its rich local reserves, in an attempt to protect its forests. It has temporarily banned logging of trees and the imports will allow the country’s timber-dependent companies to stay functional. Myanmar recently also banned export of timber to other countries. Importing timber may be a good idea for the country, according to timber traders quoted in media reports. Imported wood is cheaper than the timber produced locally, hence furniture and other products could be sold inexpensively so as to compete in the international market. However, it is uncertain how the country’s economy will be affected by the ban. 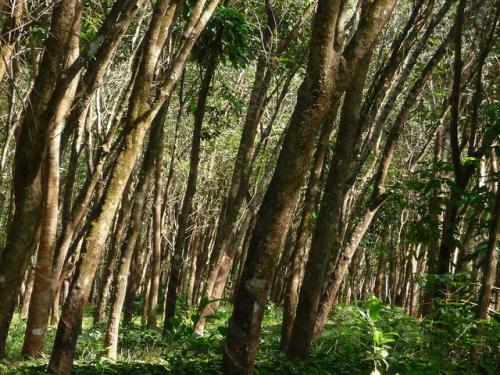 Forestry sector has played an important role in the economy of Myanmar for decades. It contributed US $254.4 million to the economy in 2011, which was approximately 0.5 per cent of the country’s GDP. UN’s Food and Agriculture Organization data also states that around 36,000 people were directly employed by the forestry sector in 2011. A United Nations report of 2015 said that Myanmar’s forest cover in Myanmar shrank from 65 per cent in 2000 to 45 percent in 2015. The country lost more than 546,000 hectares (over 1.3 million acres) of forest on average each year since 2010. The report also showed that over 10 million hectares of Myanmar’s forest area has been lost since 1990. Of the total forest cover in Myanmar, only 11 per cent is primary, while the majority (86 per cent) is regenerated. Remaining three per cent forest area is planted. As per FAO assessment, primary forest area in the country has stayed constant since 1990, while naturally regenerated forest area has reduced drastically. Planted forest area has more than doubled since 1990. The Global Forest Resources Assessment report of 2015 also said that Myanmar had the world’s third-highest annual deforestation rate, after Brazil and Indonesia. Myanmar has 1,551 million metric tons of carbon stocks in living forest biomass. According to FAO data, 46.4 per cent of the country’s greenhouse gas emissions came from land-use change and forestry in 2011. Myanmar is a climate-disaster-prone nation. In a UN Risk Model, it tops the charts as the most vulnerable to climate change. Deforestation only increases the country’s vulnerability as it degrades watershed, escalating soil erosion and interfering with the natural carbon cycle.